I visited Kuwait November 20 and 21 to accept an award from the Emir of the State of Kuwait on behalf of MIT. 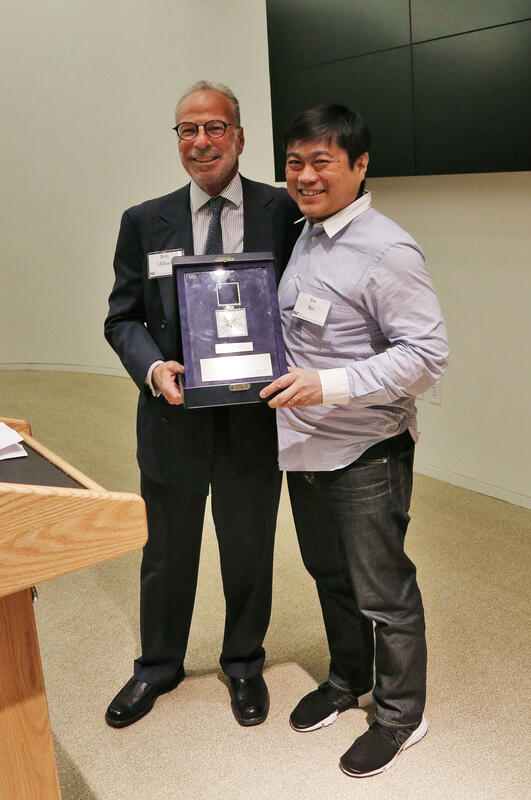 The award was for "the extraordinary role of the Media Lab in creativity and innovation of science and technology." Last year, Bill Gates won the award. 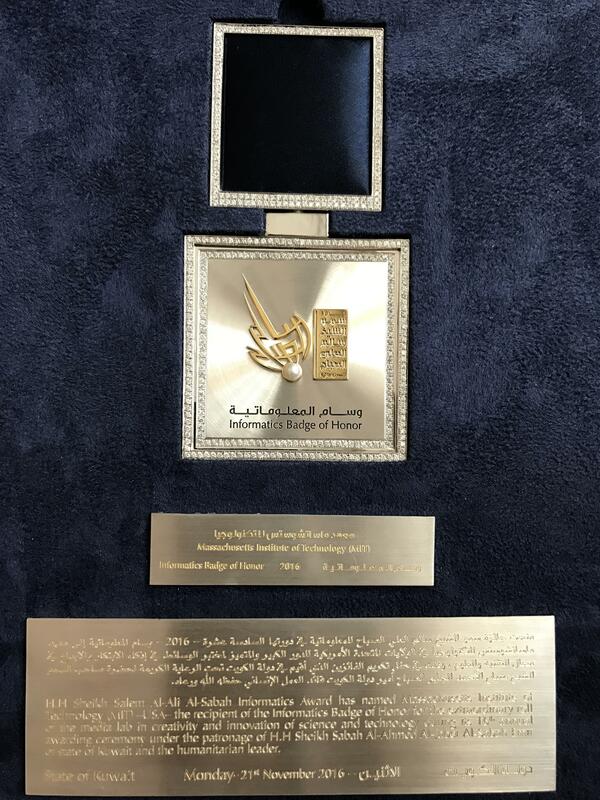 This is the inscription on the award: "H.H. Sheikh Salem Al-Ali Al-Sabah Informatics Award has named Massachusetts Institute of Technology (MIT) -USA- the recipient of the Informatics Badge of Honor for the extraordinary role of the Media Lab in creativity and innovation of science and technology during its 16th annual awarding ceremony under the patronage of H.H. Sheikh Sabah Al-Ahmed Al-Jaber Al-Sabah Emir of the State of Kuwait and the humanitarian leader." The hosts were amazingly gracious and I really enjoyed meeting everyone. Thank you so much for the honor as well as for the hospitality and the engaging conversations. Very excited to visit again. On November 30, 2016, last night, I presented the award to the MIT Corporation Chairman, Robert Millard, and congratulated him and MIT. Joi Ito - "My first visit to Kuwait to receive award for MIT" by Joi Ito is licensed under a Creative Commons Attribution 4.0 International License.